The larger of the rope handled bags, this product is 350w, 410h & 120d mm. It is an ideal bag for a conference or exhibition it you are looking for a luxury looking bag at an affordable price. Much bigger than A4, this is ideal for housing catalogues, along with other giveaways at seminars or trade shows. Its robust build will ensure the bag stays in tact, and the contents are not damaged. 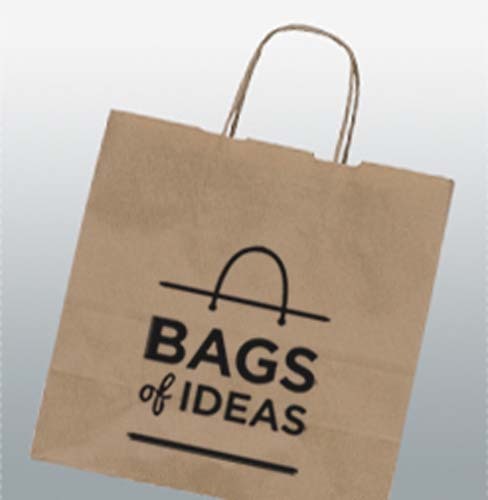 The bag can also be well utilised as a retail bag for high end high street stores. 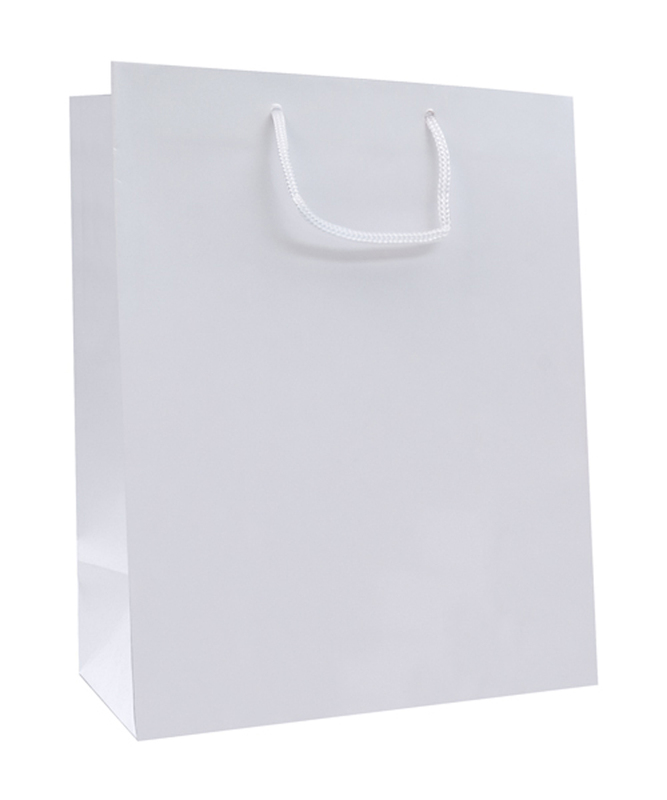 The bag as standard is white, and the prices include a 1 colour print to both sides of the bag. You have the choice of a gloss or matt finish as standard. 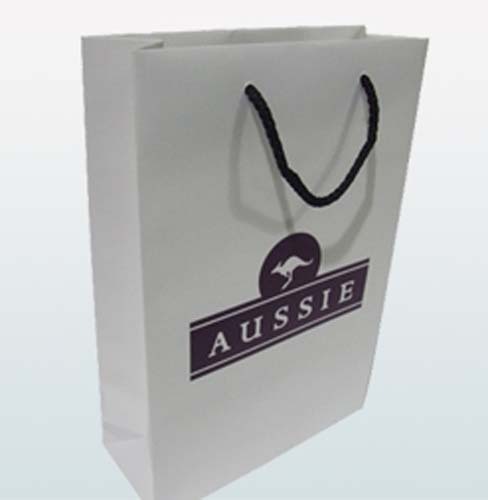 The bag can be printed in more colours if required, as well as a digital print to create a unique carrier bag for your promotion. This product can also be foil blocked. There is a choice of over 25 standard colours for the rope handles, and also the option to change the handle material to ribbon. This is just one size of this style of bag - these bags are made to order, so can be manufactured to your custom size, making them suitable for flower bags or even gift bags. If you would like to know more about this item, please enquire. 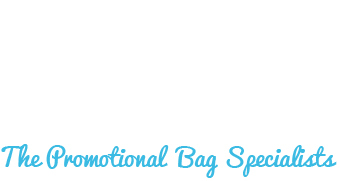 *Prices include one colour print to both sides of a white bag. 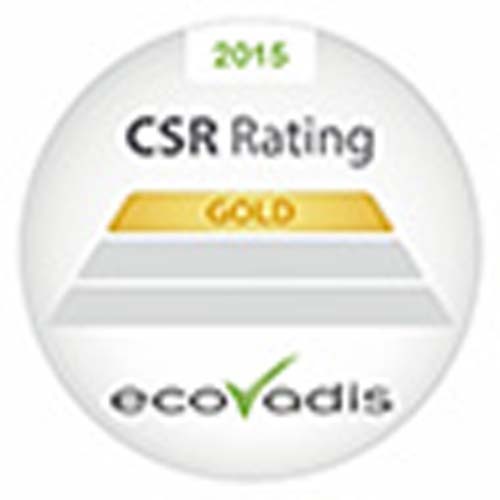 Origination and Delivery to one UK Mainland address are included in the unit cost. For further quantities and branding options, please get in touch.